John Michael Brennan Jr obituary. Carnes Funeral Home. 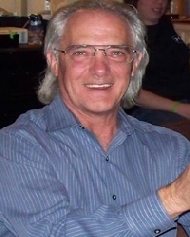 John Michael (Mike) Brennan of League City passed away on April 12, 2019 at the age of 64. He is preceded in death by his parents, John Michael and Marjorie (Peggy) Brennan, and his son, Christopher Michael Brennan. He was born on May 27, 1954 in Austin, Texas. A long time League City resident, Mike attended Clear Creek High School. In 1971 he began a career at the NASA, Johnson Space Center. He worked at JSC for 29 years as both, a contractor and a NASA Government employee. Mike received many awards and other recognition throughout his career. In 1994 he received the NASA Exceptional Achievement Medal for establishing a NASA wide Hazardous Materials Training Program, and in 2000 received the NASA Exceptional Service Medal. In 1997 he became Chief of the Transportation Branch and was appointed as the JSC Transportation Officer. In 2000, he left NASA to pursue his dream of starting and operating his own business. In 2002, he founded JMB HAZMAT Training and Consulting Services in League City. Mike was widely recognized throughout the country and abroad as an expert in the field of hazardous materials transportation. He was a member of the Dangerous Goods Advisory Council in Washington DC. "Mike would tell you he was a 'regular guy just taking care of business,' and was happiest spending time with his family and friends." But "his family and friends would tell you he was a 'rock,' always there when you needed him, dependable and responsible, ready to grab you in his arms to let you know he loved you and everything would be all right." Of all his accomplishments, the one he was most proud of was his family. Mike married Kim Boeckel, his true love, soul mate and best friend on August 17, 1980. Together they raised two wonderful children; Chris and Megan, whom he adored. He also had a son from a previous marriage, Todd Trlicek who was raised by his mother and adoptive father and who he was really just getting to know. Mike was a member of Webster Presbyterian Church. Mike is survived by his wife Kim, daughter Megan Cash, her husband Joey and son Ethan, son Todd Trlicek and his wife Mekisha, sisters Kathy Barrow and her husband David of Gilmer, Texas; Sharon Glaze and her partner Larry McDaniel of Dickinson, Texas; Susan Harrigan of Dickinson, Texas; and brother, Terry Brennan of Dickinson, Texas. He is also survived by six grandchildren, one great-grandson and numerous nephews and nieces. Officiating will be led by Rusty Conklin. Pallbearers are Matthew Brennan, Steven Brennan, Mikey Brennan, Michael Barrow, Steve LeBlanc, and Danny Johnson. Visitation will be Tuesday April 16, 2019 at 1:00 p.m. at Carnes Funeral Home in Texas City, followed by services at 2:00 p.m. Interment following services at Forest Park East Cemetery in Webster. In honor of Mike, anyone who wishes wearing a Hawaiian shirt is encouraged.